OurPets Flappy Squeeze N Squeak Dog Toy Small is designed to appeal to a dogs' hunter instincts for a natural feeling play. Throw a dog a toss toy and watch them chase and shake to their heart's content. 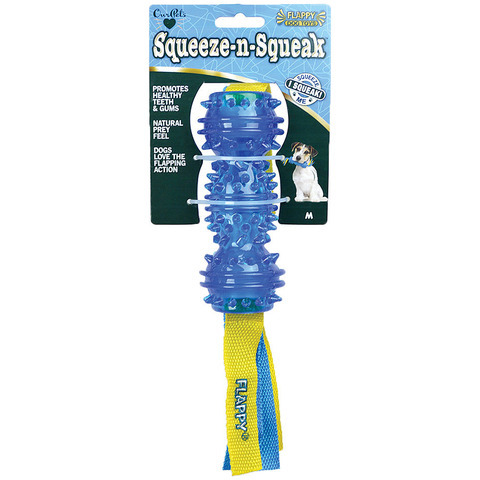 OurPets Flappy Squeeze N Squeak Dog Toy Small is a classic squeaky toy that is great for a game of fetch.